How can you tell when a chicken isn’t happy? No, this isn’t the start of a joke; it’s serious business. A mechanical engineer, Wayne Daley, at the Georgia Institute of Technology is trying to determine when a chicken isn’t happy because, it turns out, a chicken with ruffled feathers doesn’t eat well and won’t fatten up as quickly as a happy and healthy chicken. Daley and his team have come up with the Sick Chicken Audio Recorder that identifies the clucking and squawking of a chicken that isn’t happy because it’s sick or because it’s too hot in the coop or too cold. Farmers care a great deal about making chickens happy because plump chickens lead to more sales and hefty coffers. If the chicken is sick and not simply testy about the temperature, the illness will spread quickly to other chickens in the flock. So early detection pays off. Literally. Of course, chickens aren’t the only ones whose conversations are being monitored. The Justice Department recently has been revealing more about the government’s use of secret cellphone tracking devices. Controversy over the department’s use of these devices heightened when it was discovered that such technology was deployed in airplanes and can scan data from phones of those of us who are not targets of investigations. The tracking of data, voice and otherwise, is part of the increasingly connected web of everything that everyone does and of what virtually everyone wants. Soon, you’ll be able to turn on your home dishwasher remotely from work; or if you’re too tired to get to the supermarket, you’ll be able to have your refrigerator automatically reorder from the grocery store the items you’re running low on; and you’ll also be able to get a notification on your cell phone that the pair of pants that you’ve had your eye on is on sale at a shop in your neighborhood. We call this Internet of Things a “smart” new way of doing things. Technologists are making things smart by attaching sensors and connecting them to the Internet, which will enable this flurry of connectivity and, presumably, lead us to more productive lives. 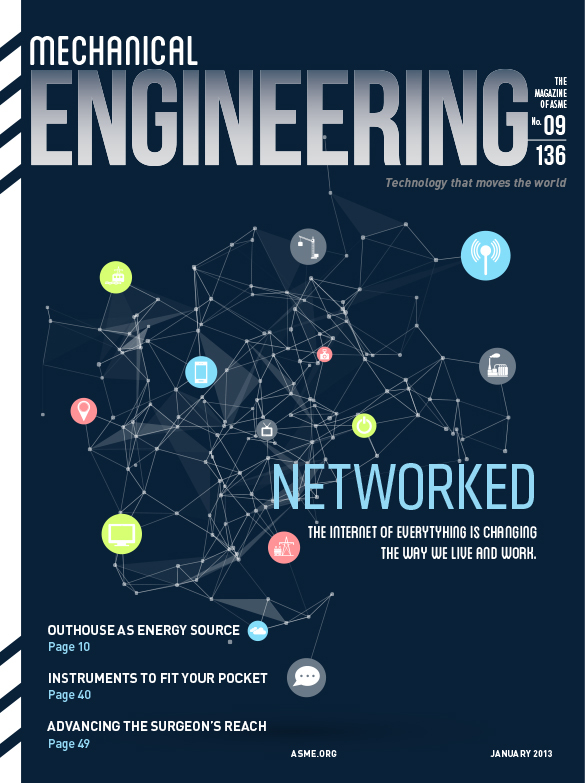 In this issue we take a deep dive into the smart environments that are burgeoning around us. From the home to buildings and structures, to complex supply and distribution networks that tie the global economy together. The pace of change is rapid, even as adoption may lag. Industry appears eager to jump in and connect all things to the Internet. But there are reasons for healthy skepticism. Just two months ago, the New York Stock Exchange had a nearly four-hour shutdown in the middle of the day because of a faulty software upgrade that connects buyers and sellers. Then the Federal Bureau of Investigation told us that millions—21.5 million—of government background investigation records were stolen by hackers who broke into the Office of Personnel Management’s network. Days later a computer network malfunction caused a temporary grounding of United Airlines’ global fleet. Sometimes, of course, it’s not the network’s technical malfunction that goes awry and causes pandemonium but the user of the network (see Edward Snowden). The authors of this month’s related feature articles assure us that, as the rate of connectivity grows, our future will be paved with greater productivity, economic growth, and an improved quality of life. I say, let’s not count our chickens before they hatch.